To meet the challenges of global food security in the changing climatic scenario, it would be most imperative to enhance crop productivity under resource competence. It is estimated that approximately 70 % of reduction in crop yield is due to the direct impact of abiotic stresses such as drought, salinity, and extreme temperatures. In the present context, one of the major challenges is large-scale screening of crop performance as a consequence of its genetic makeup. The development of advanced biotechnological and next-generation sequencing tools has lead to the accumulation of enormous data on genomics; nevertheless, data on phenotype and functions is yet to be fully annotated. 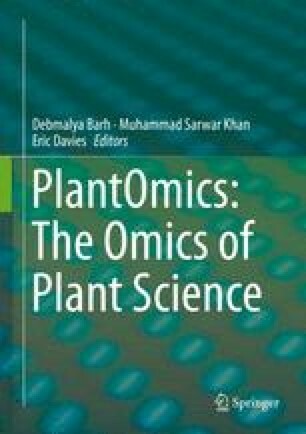 To exploit the wealth of large-scale genomic data sets, it is necessary to characterize the crop performance quantitatively and link it to the genomic data. High-throughput phenomics studies offer strategies to screen large-scale population (s) for a particular phenotype employing advanced robotics, high-tech sensors, imaging systems, and computing power. Advanced bioinformatics tools further facilitate the analysis of large-scale multi-dimensional, high-resolution data collected through phenotyping. With the integrated approach of genotyping and phenotyping, gene functions and environmental responses can be well understood. It will also help in finding more relevant solutions for the major problems that are currently limiting crop production.